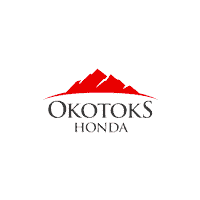 When you buy a Honda Certified vehicle, you can rest assured knowing that your car has been completely inspected and reconditioned by Okotoks Honda & factory-trained technicians. Only genuine Honda parts are used, and your Certified Honda comes with a Honda Plus Warranty that covers your vehicle for up to 6 years or 120,000 kilometers. 24-hour Roadside Assistance provides an added level of peace of mind, knowing that your Certified Honda will never let you down under any circumstances. Before it can be sold as Honda Certified vehicle, an extensive look into the car’s history is performed without fail. A CarProof™ Vehicle History Report is always produced, to make sure it was in no major accidents. All available Service History Reports are researched for any insight into how the vehicle was maintained. Honda Factory Trained Technicians perform a 100-point bumper-to-bumper mechanical and appearance inspection. Any abnormalities found during this period will be resolved using Honda Genuine parts. To make the car feel as new as possible, we then make sure any necessary servicing is performed. There’s even a 7 day, 1,000-kilometre no-hassle exchange policy in the unlikely event you have a change of heart. Buying a Honda Certified vehicle couldn’t be easier, or more rewarding. Every Certified Honda comes equipped with Honda Inspection, AMVIC Mechanical & Appearance Fitness and CarProof Report. Never buy a vehicle without knowing its history. That’s why we offer it on every vehicle we own on the lot. Although we’re confident that you will not need to take advantage of this benefit, we offer this to give you the peace of mind that if for any reason you are unhappy with your vehicle, you may exchange it for another Honda CUV. We’re so confident in our best pricing, we back it up with a 30-Day Price Guarantee. If you receive an official lower quote within 30 days, we will either match the price or refund the difference.